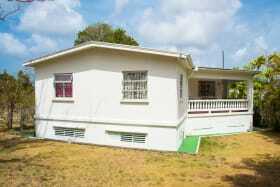 Regency Park No. 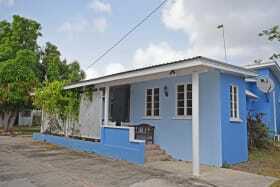 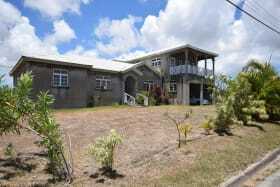 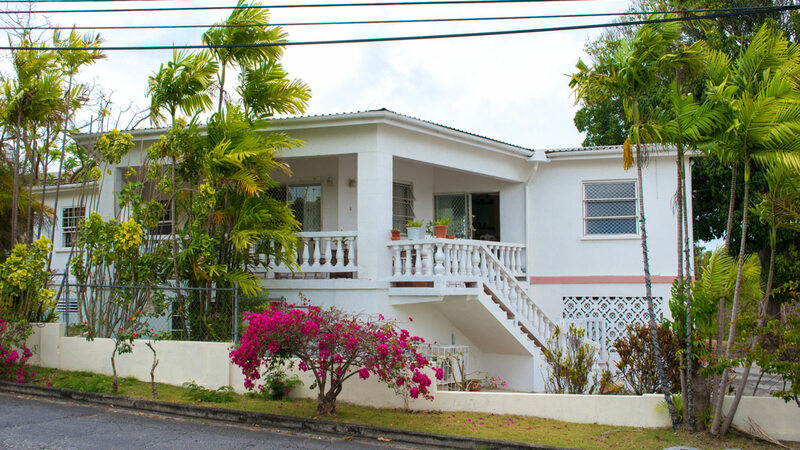 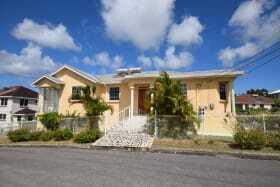 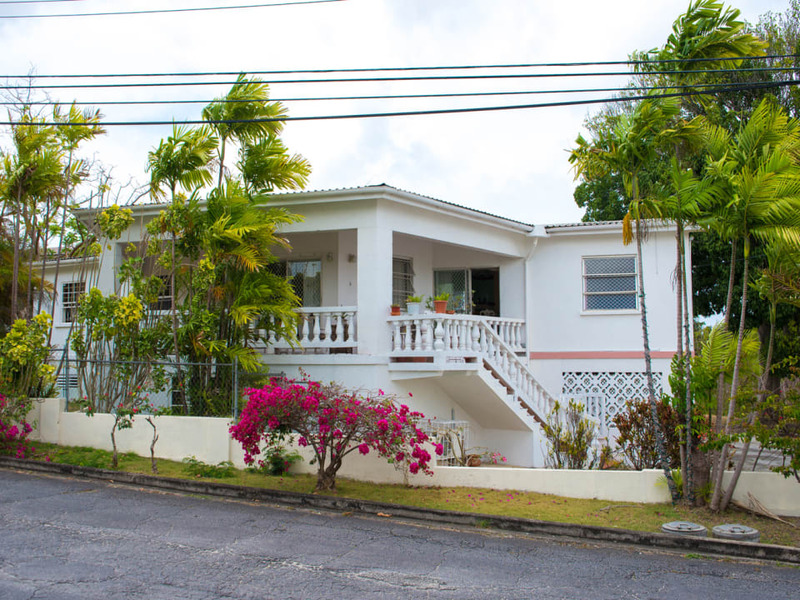 155 is a two storey South coast property which features four bedrooms on the upper level. 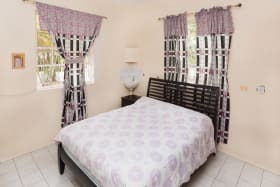 The master bedroom is en suite while Bedroom 2 & 3 which are adjacent to each other, and bedroom 4 which sits off of the dining area, share a full bathroom. 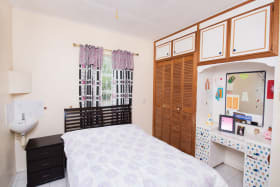 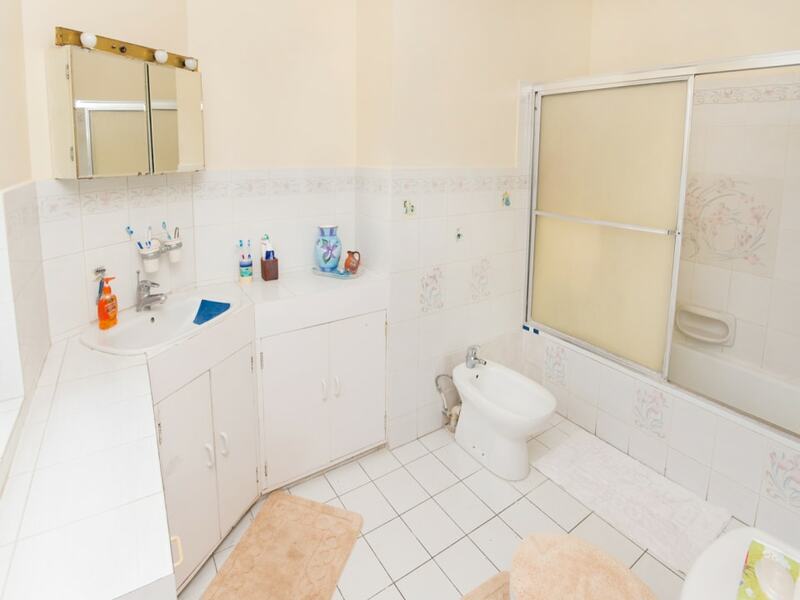 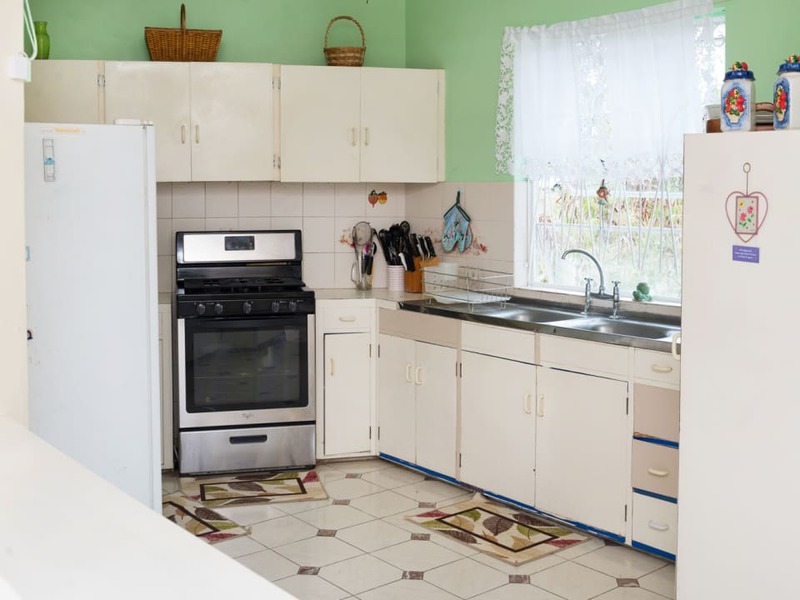 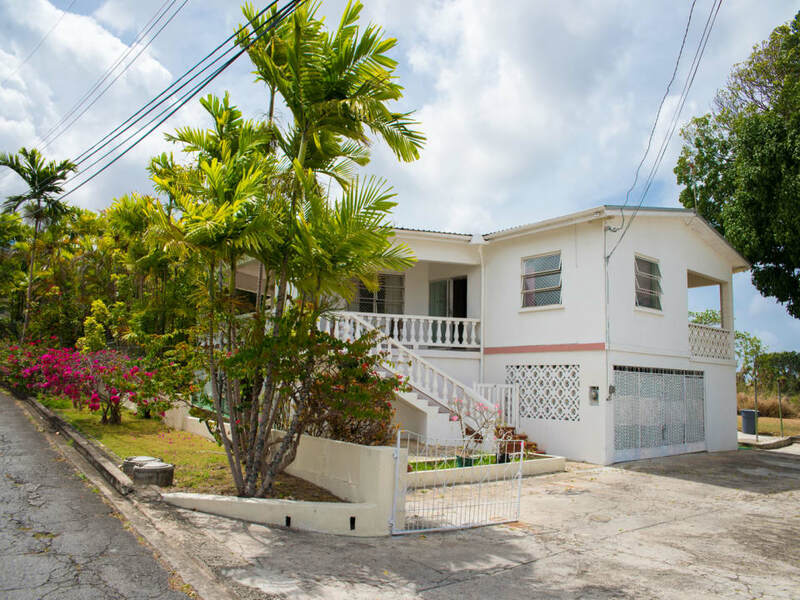 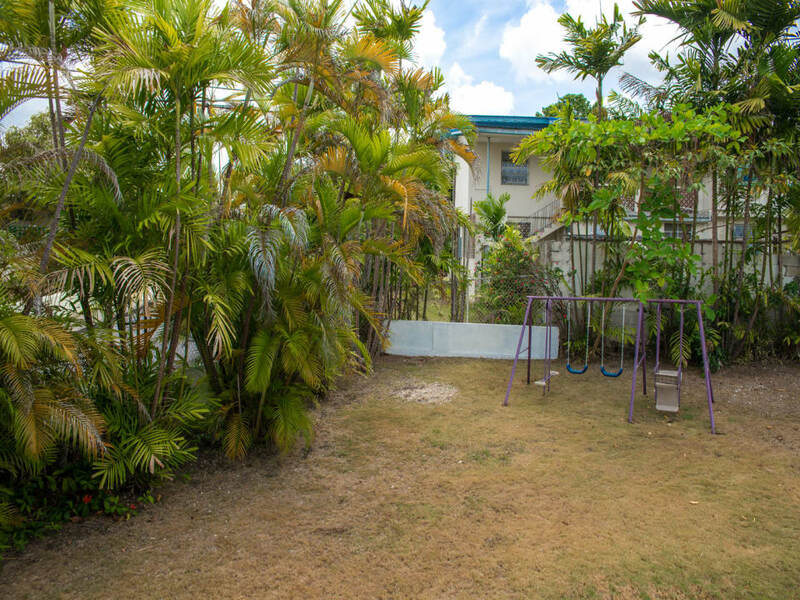 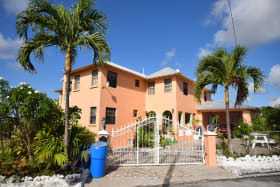 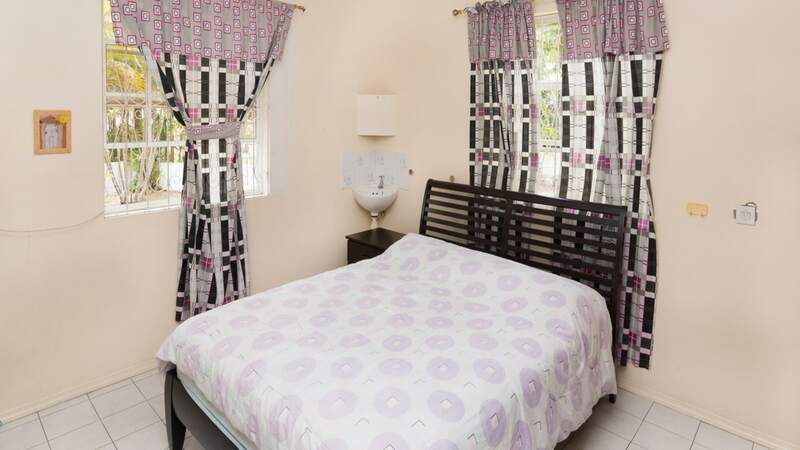 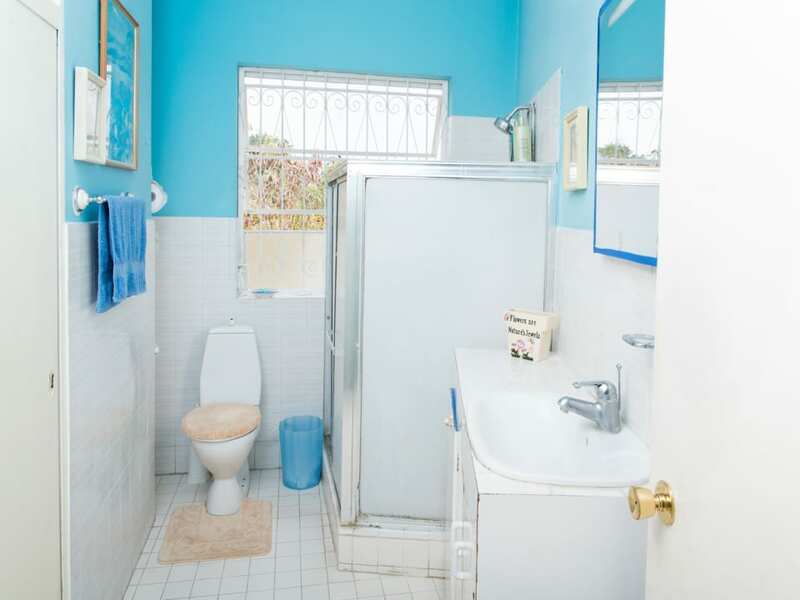 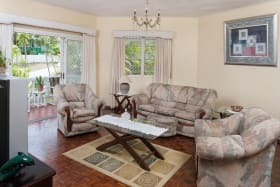 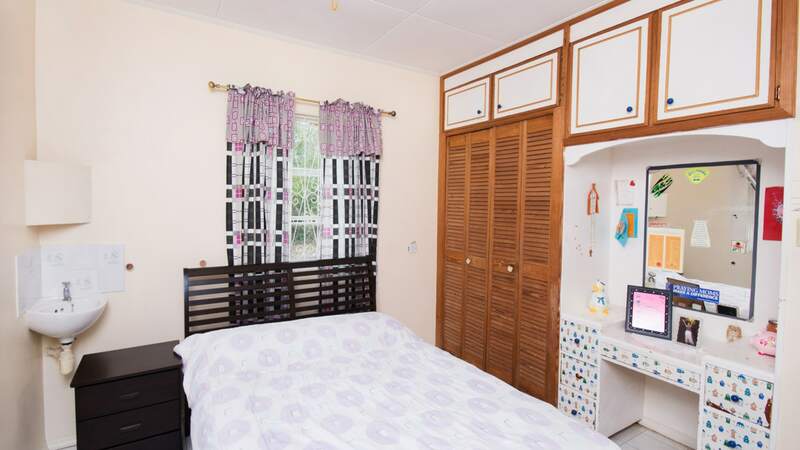 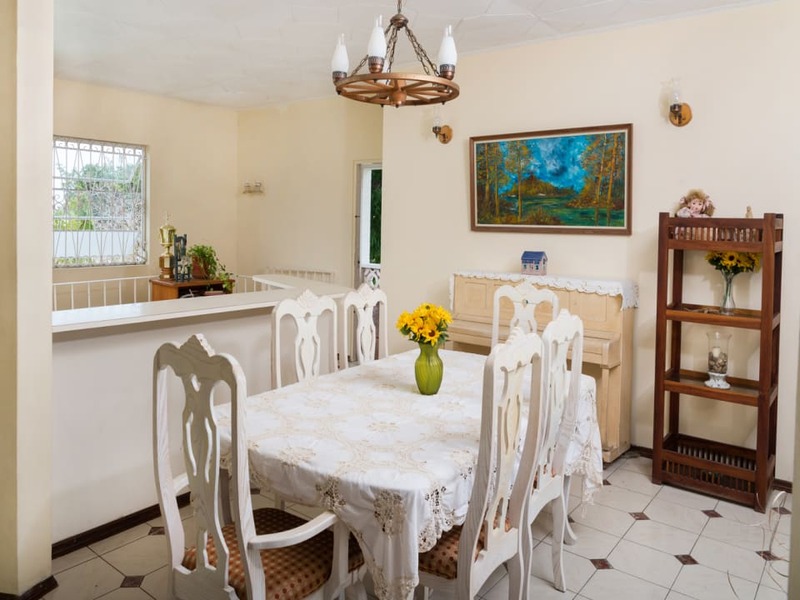 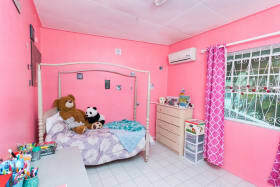 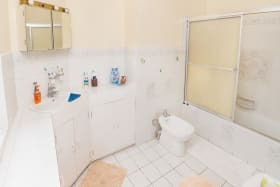 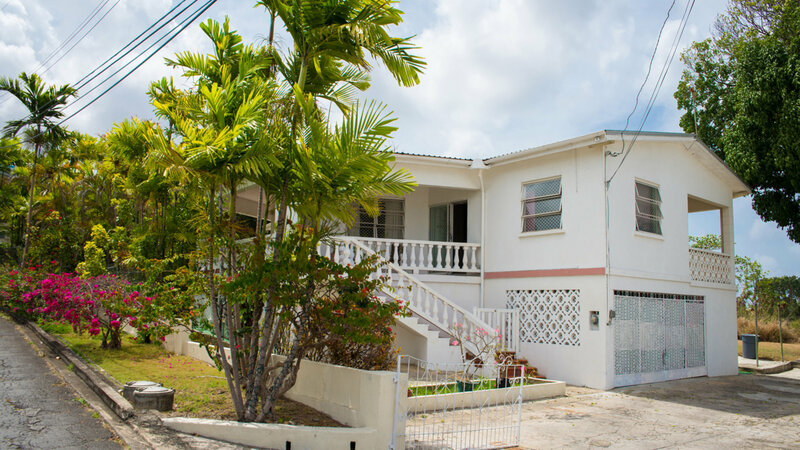 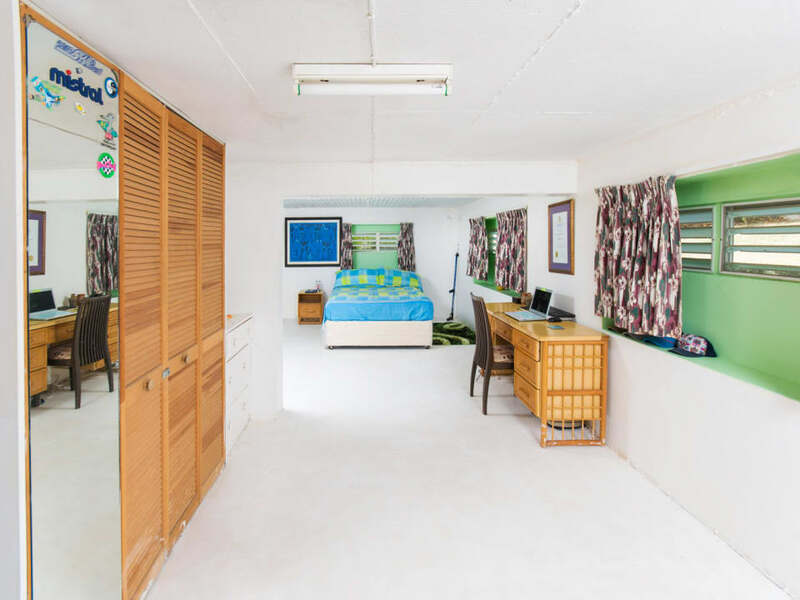 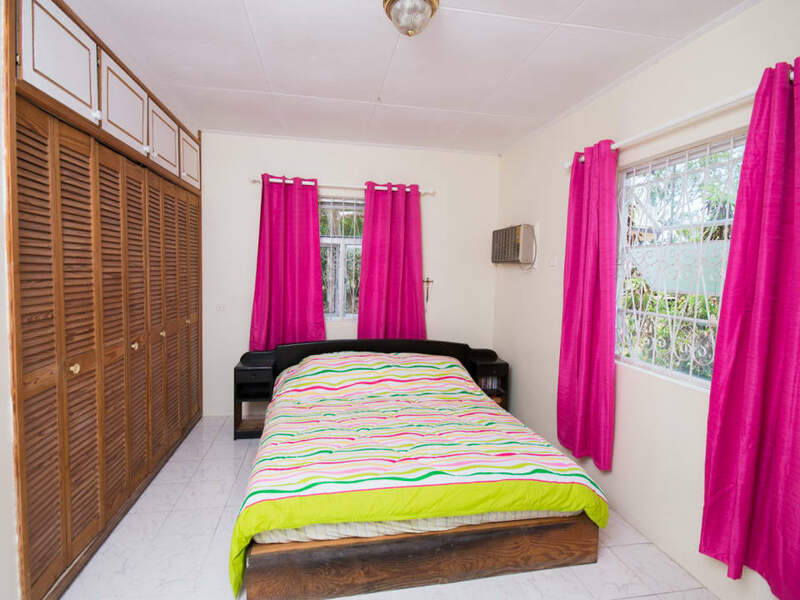 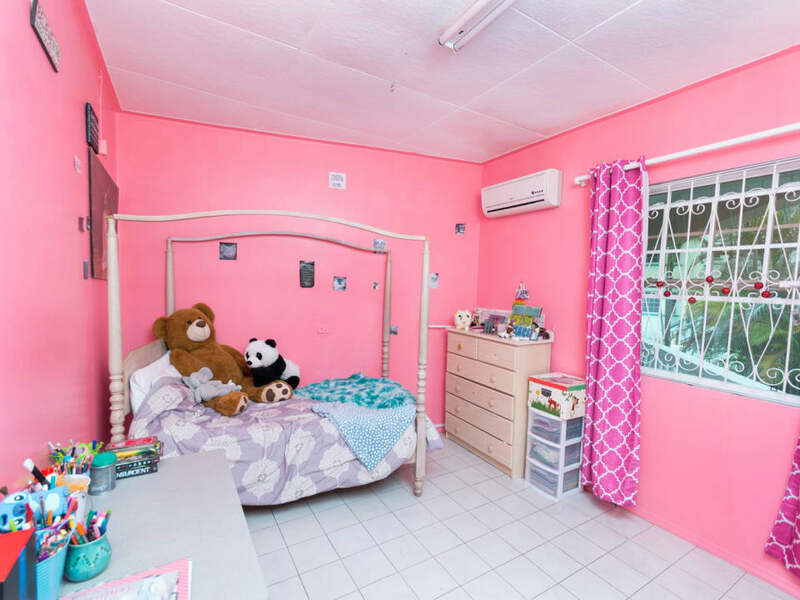 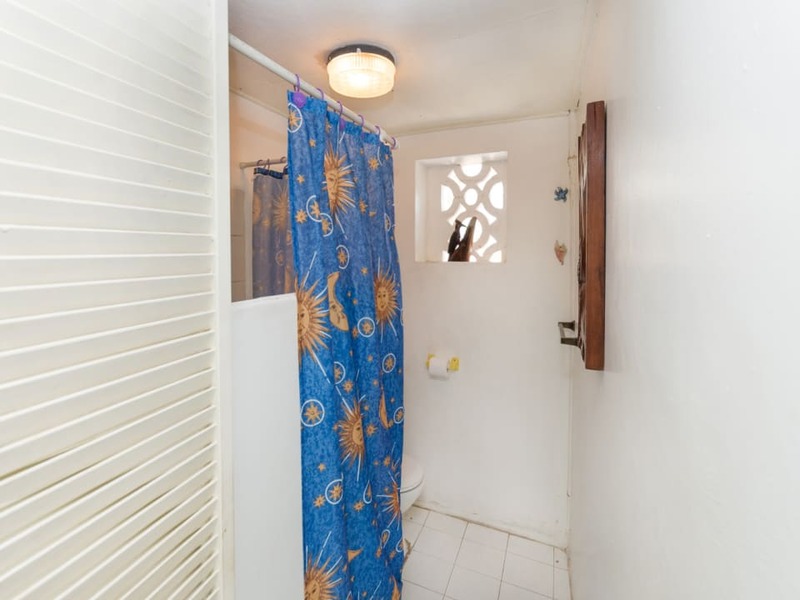 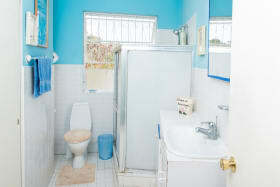 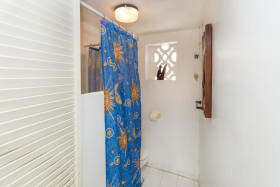 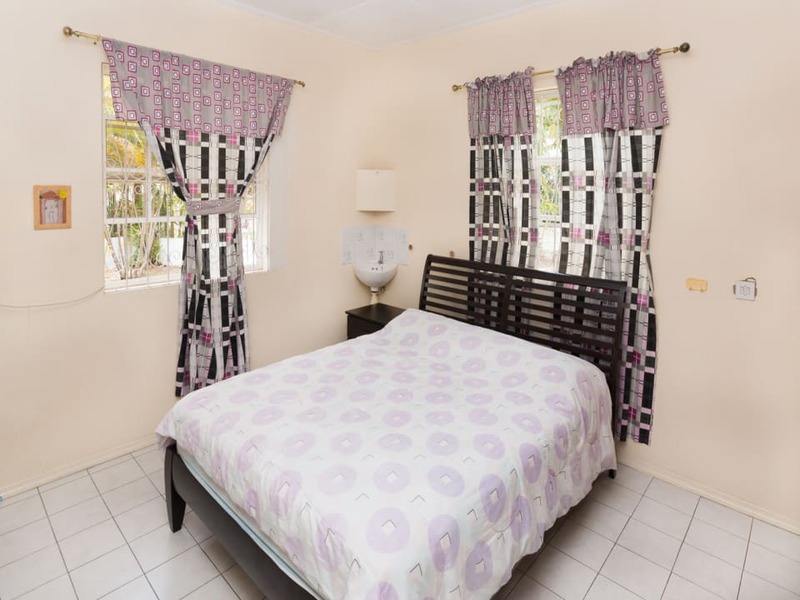 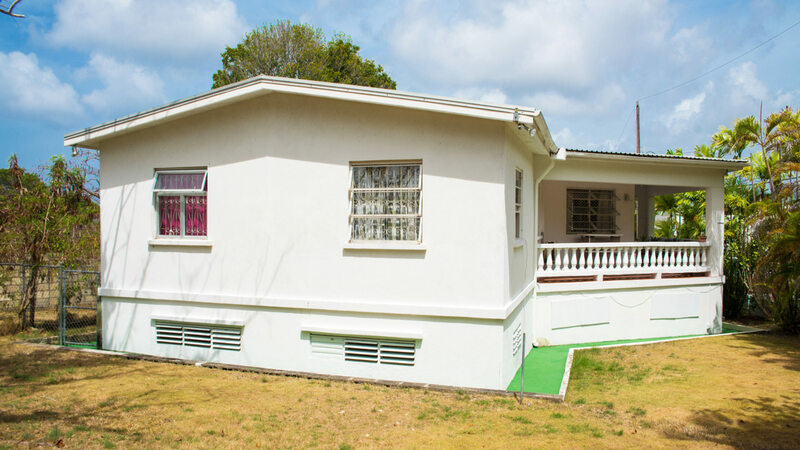 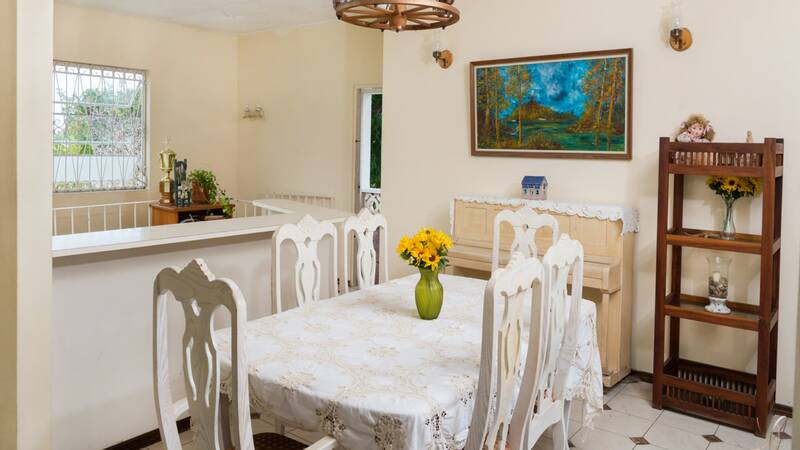 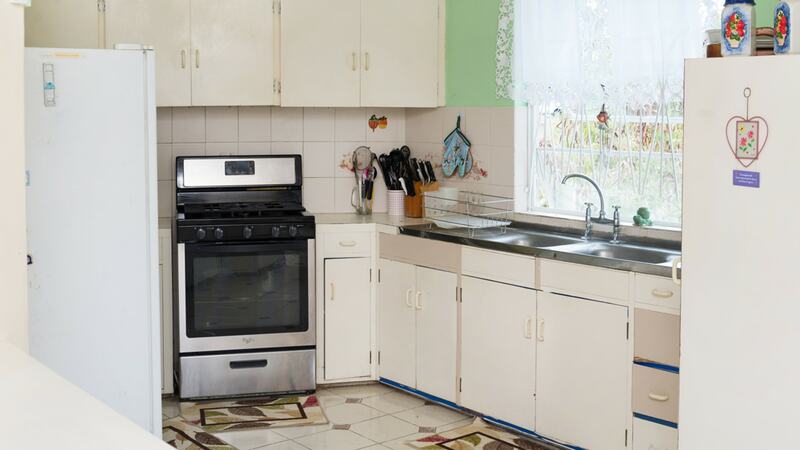 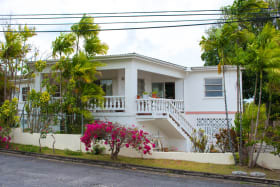 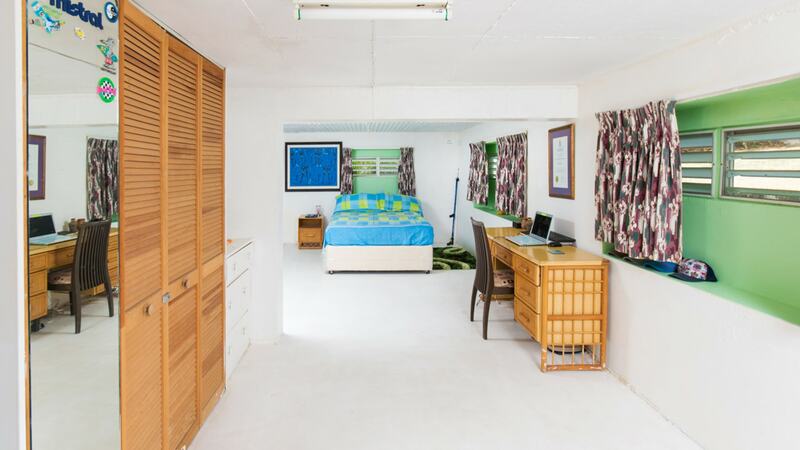 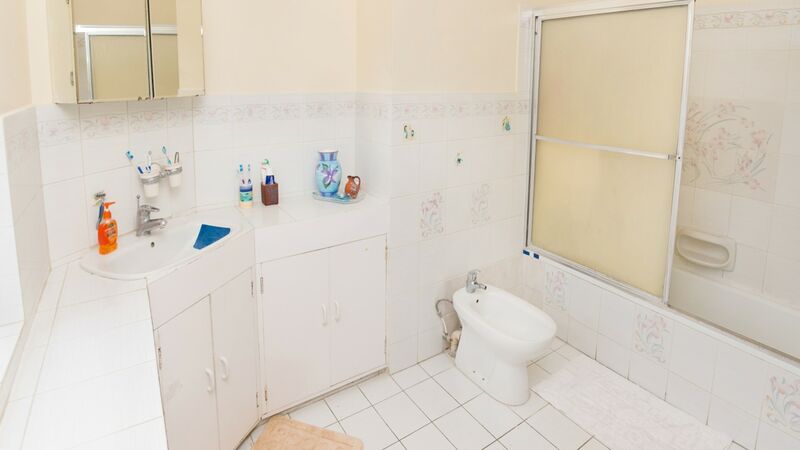 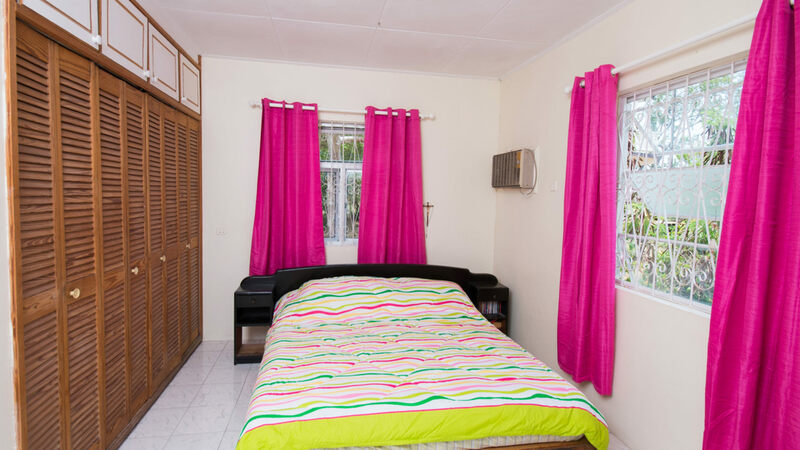 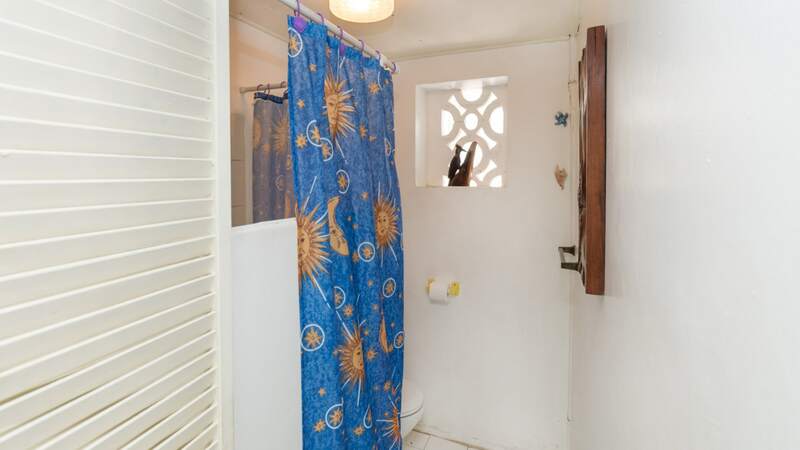 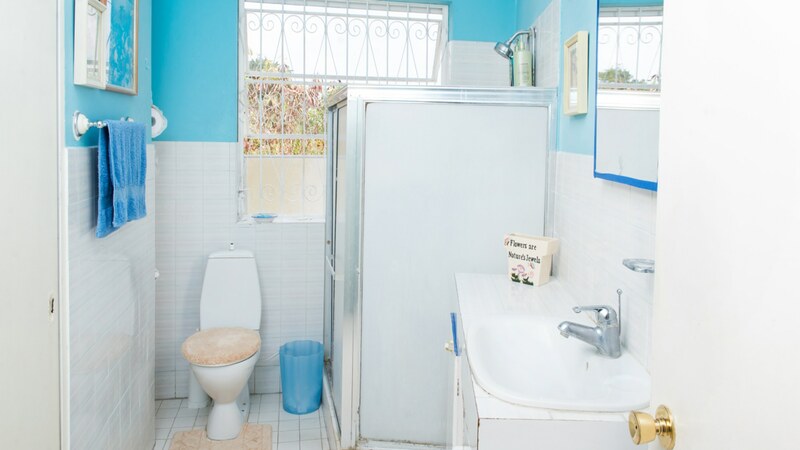 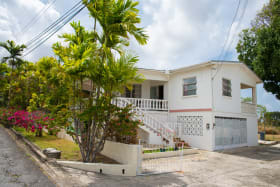 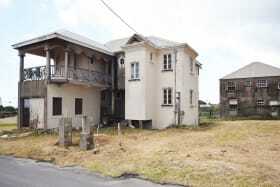 The lower level of this Barbados house for sale boasts one large bedroom, a separate small full bathroom plus an office and large basement space. 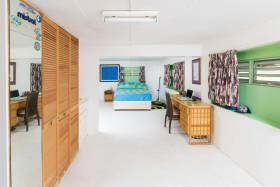 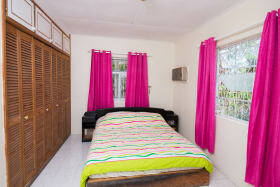 The office area is air conditioned as well as Bedroom 2 on the upper level. 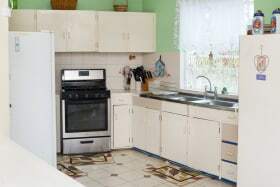 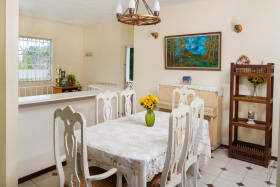 There is also a small side patio off of the kitchen that could be used as a breakfast area. 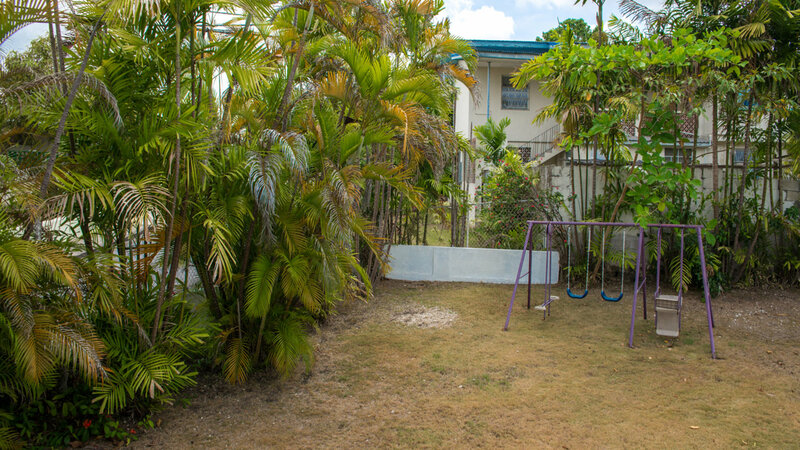 The section of the property to the side of this home, offers a lawn area and is fully enclosed, creating an ideal space for pets. 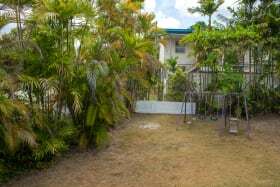 In addition, there is a golden apple tree as well as a plum tree on the premises. 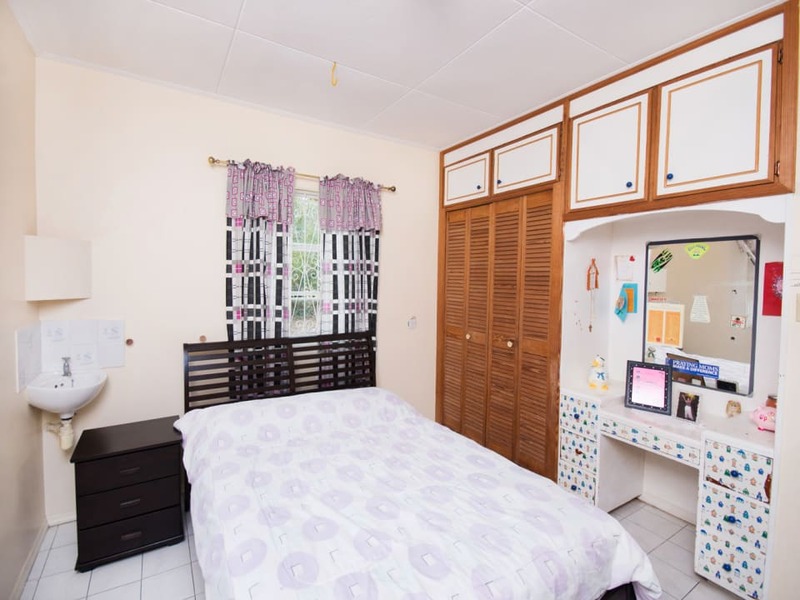 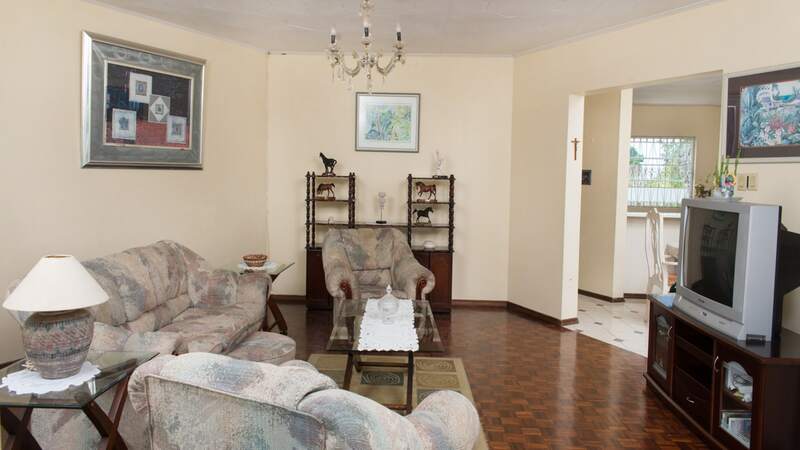 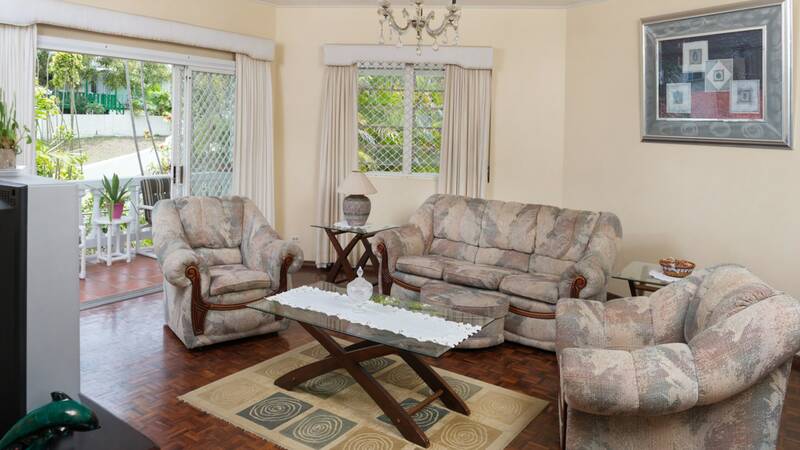 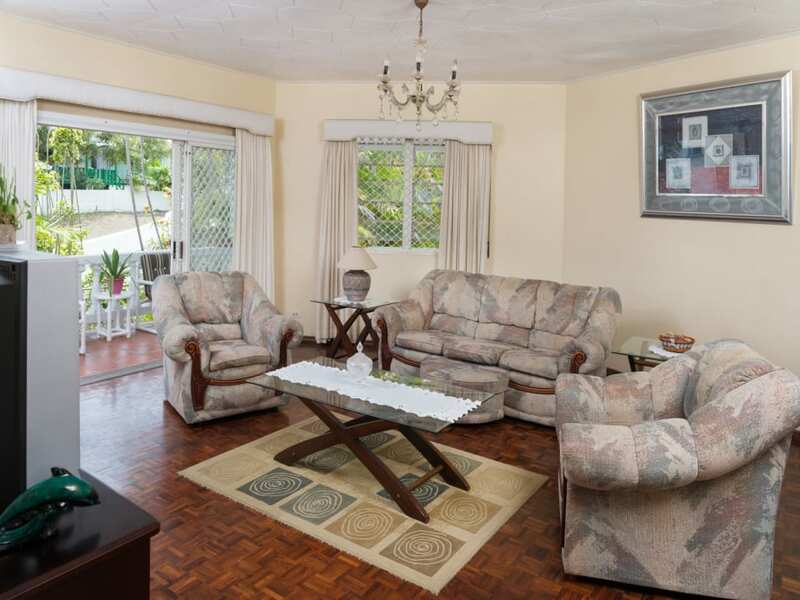 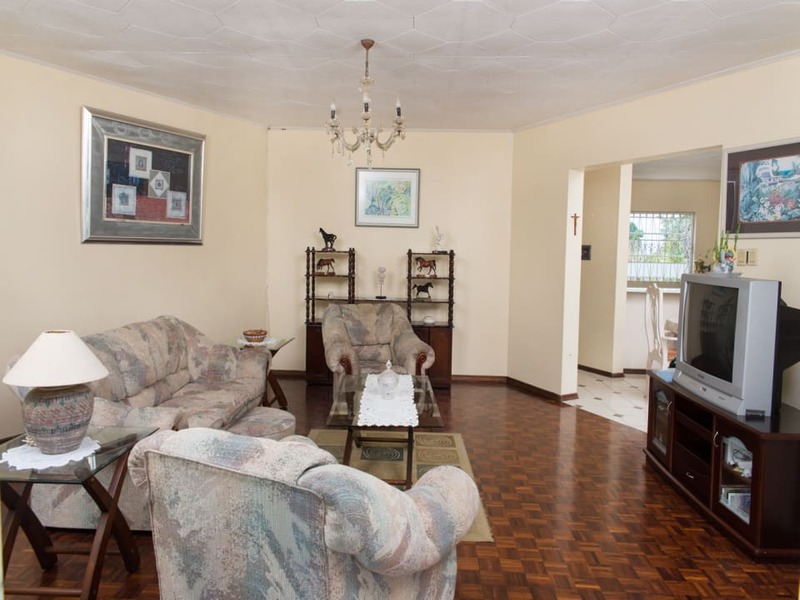 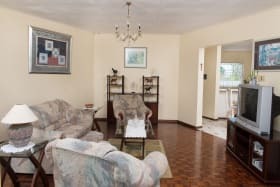 Regency Park is a family friendly neighbourhood, situated 10 minutes walk from shops at Sheraton Mall, 15 minutes drive to South coast beaches and near supermarkets, banks and shops in the Hastings area.